English Civil War Twitch Stream! The King or the Parliament? 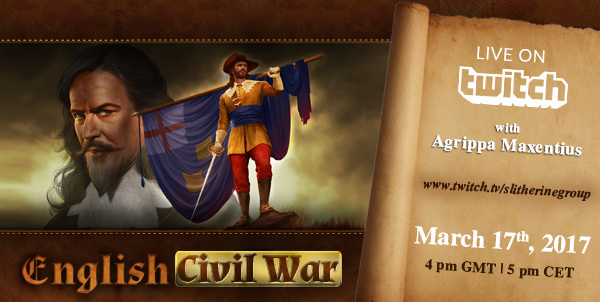 Join the fight tomorrow and watch the English CIvil War on Twitch at 4pm GMT - 5 pm CET! Re: English Civil War Twitch Stream!